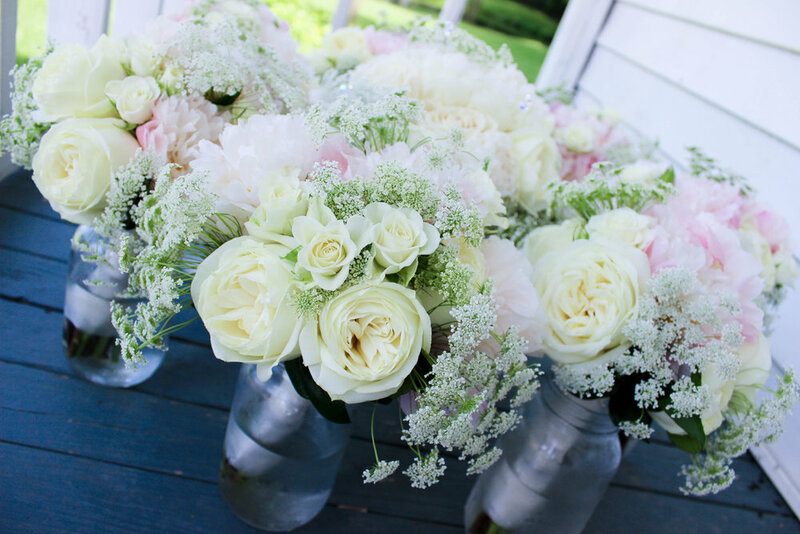 Blaire's June wedding brought some of the prettiest blush peonies I ever did see! 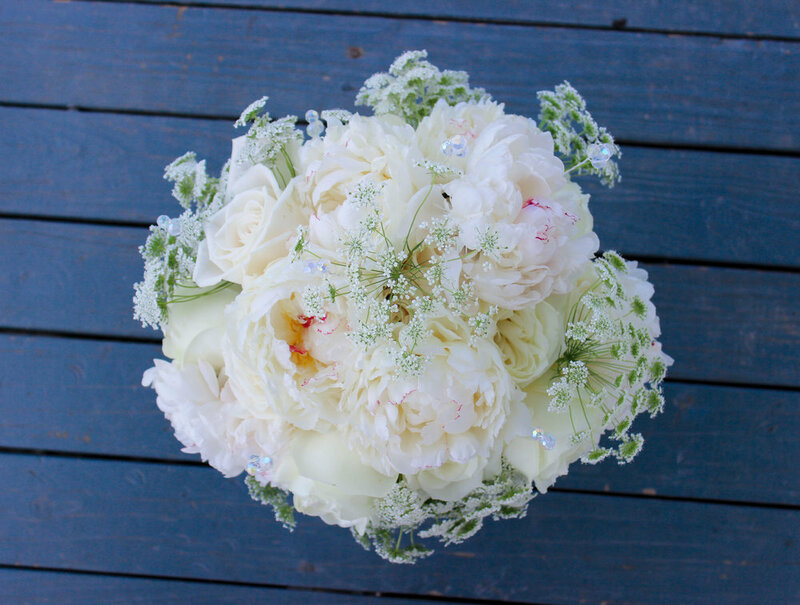 Blaire chose a garden style bouquet featuring fluffy white "festiva maxima" peonies, ivory "polo" roses and queen anne's lace. 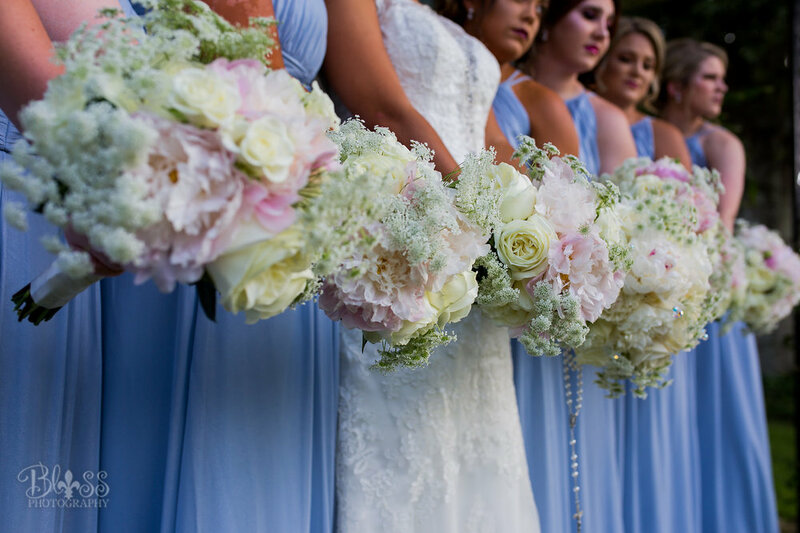 The bridesmaids wore ice blue dresses and carried bouquets of pale pink peonies, ivory roses and queen anne's lace. 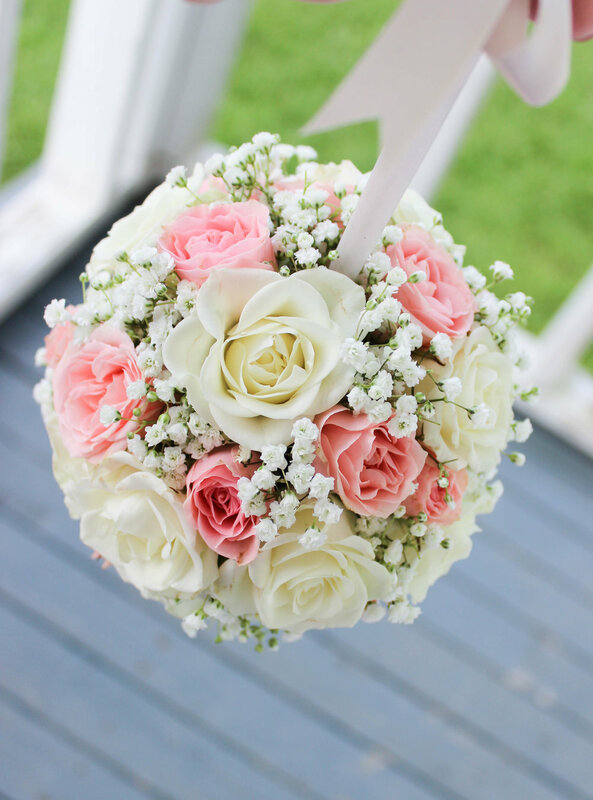 The flower girls held matching kissing balls with spray roses and baby's breath. 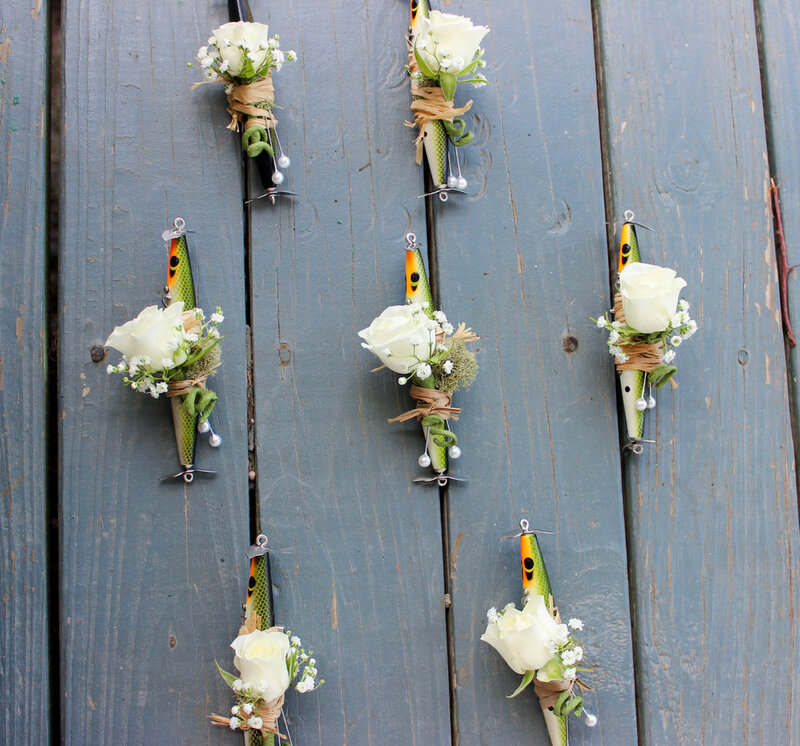 The guys wore boutonnieres of fishing lures and florals! 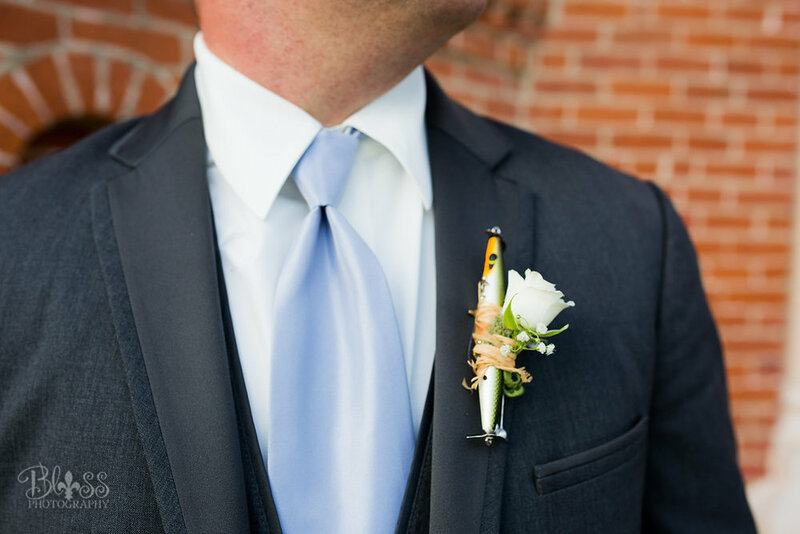 Perfect for that groom who loves to fish! 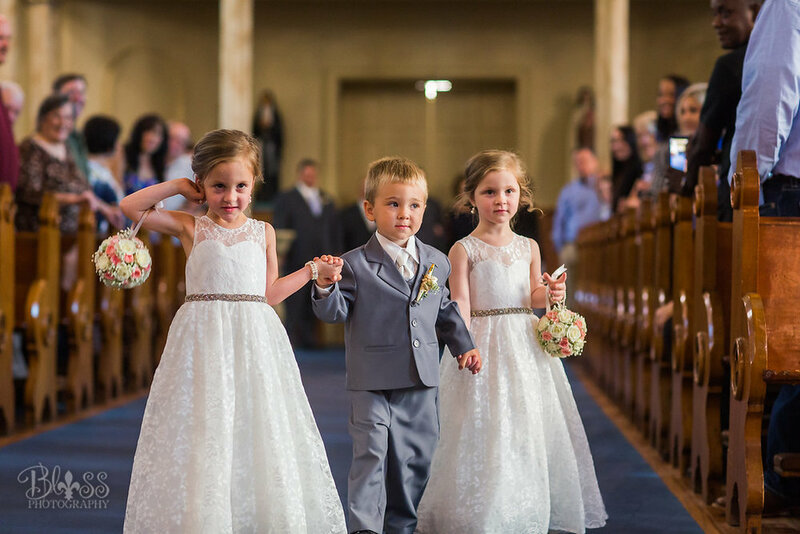 Traditional church arrangements were used on the altar of the church and transported to the reception. 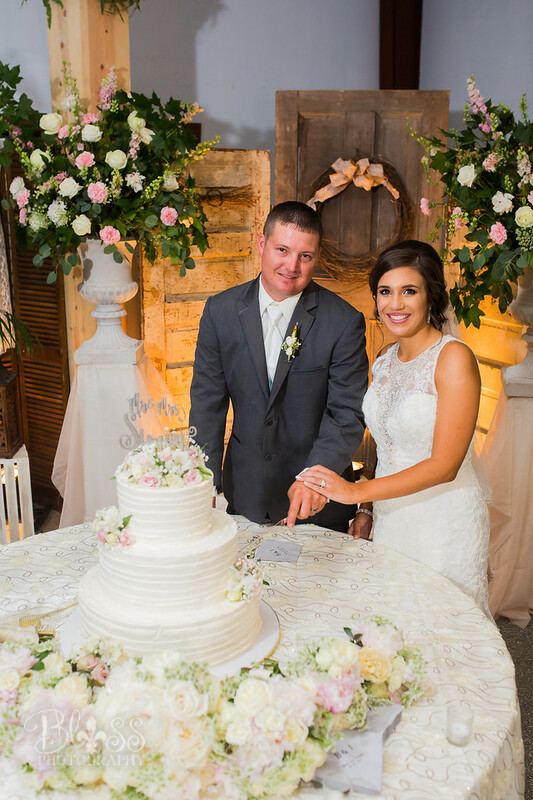 The cake table is surrounded by the bouquets while the cake coordinates with a touch of matching florals! 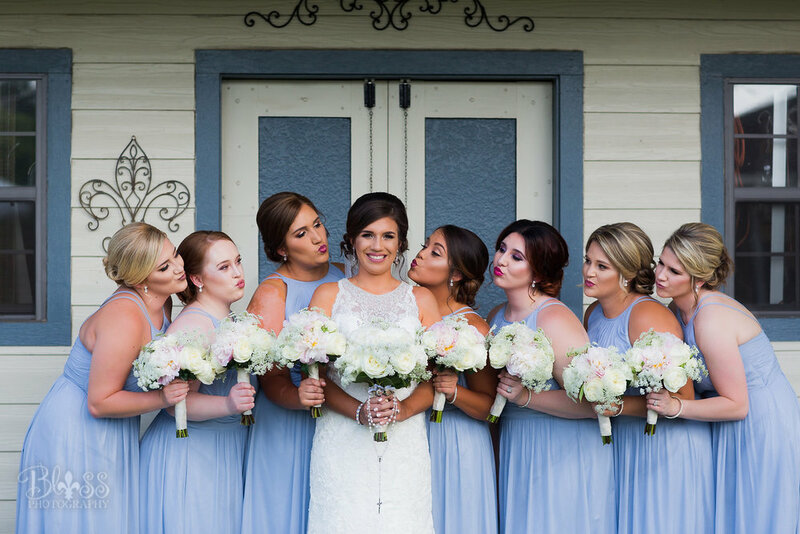 I chose light blue for my dresses and so I chose soft colors to match with that which was the white/ivory/light pink. Your social media and mom helped me decide on exactly wanted I wanted. 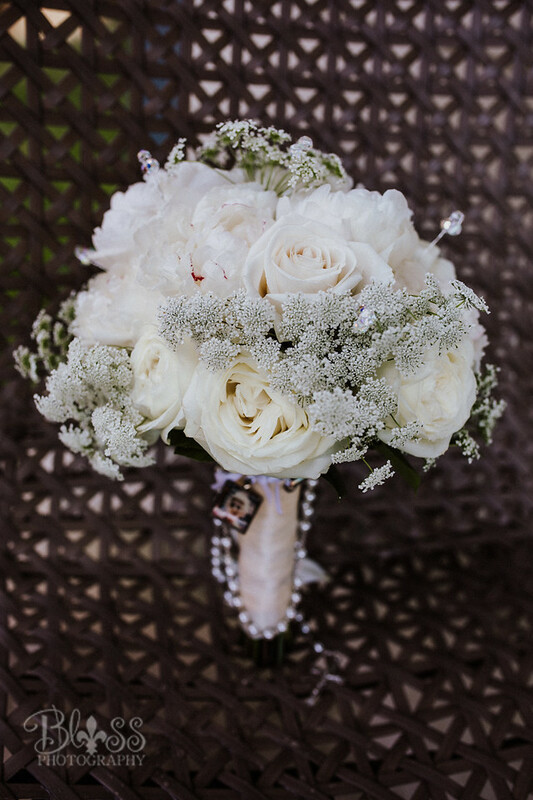 I loved having my grandparents' pictures and my rosary attached to my bouquet on top of everything else! I liked having all of the extra petals because I am using them to make a rosary for when I have kids. 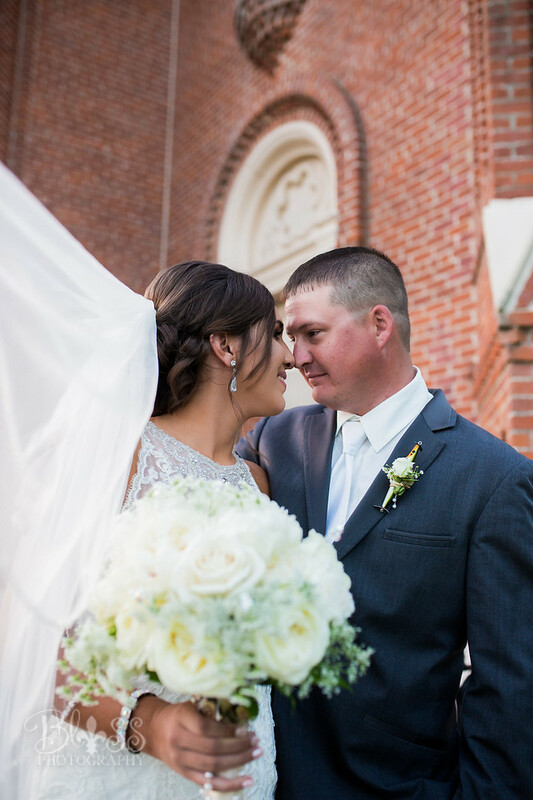 Thanks to Blaire for choosing The Floral Cottage Florist for your wedding day!